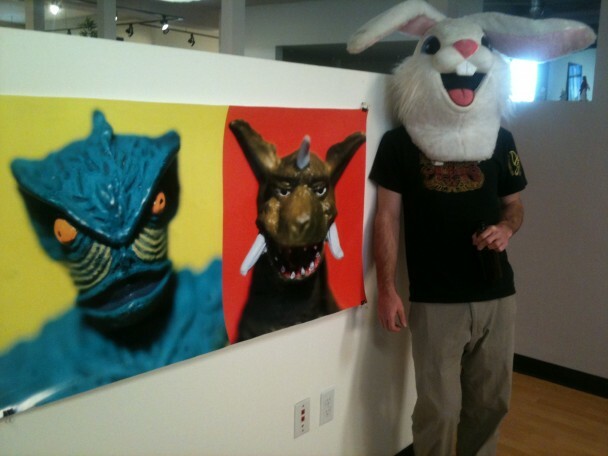 Fridays can get tough, especially when you are working with an angry bunny over your shoulder that has some killer monster friends – demanding you drink beer or he will eat you and your children. 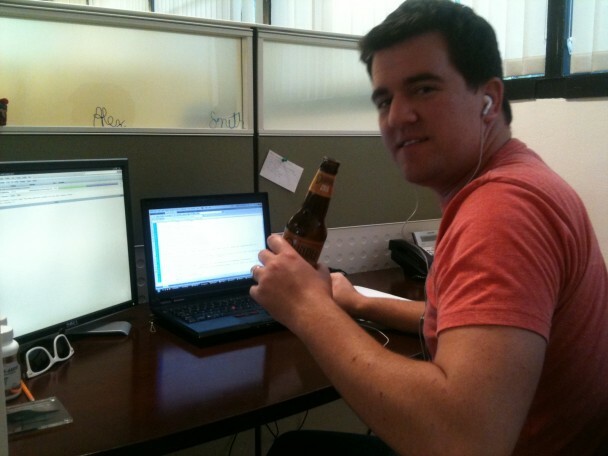 Alex decided to bust out 3 websites this week to avoid the angry Friday bunnies rage. Alex last spotted climbing out window with an entire army of angry toys chasing him. Stay tuned for: www.blackbooksessions.org, www.raterabbit.com and www.themondgroup.com. Angry toys don’t like it when they want their logo bigger and Alex is climbing out windows trying to escape for the weekend. 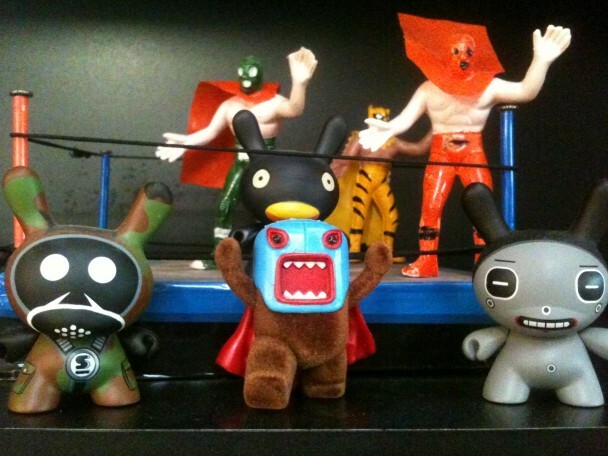 Don’t mess with the toys on Friday or they will come and eat you. 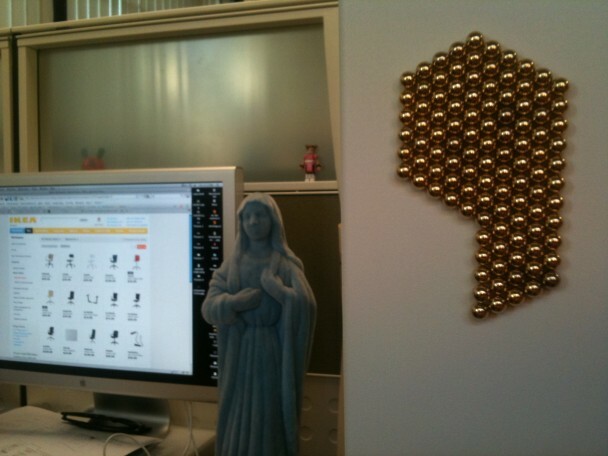 Bucky Balls in the sign of the Ninthlink logo are all that were left when I went back into the office this evening with a Velvet Mother Mary looking over our workstations. And only faint signs of angry toys.